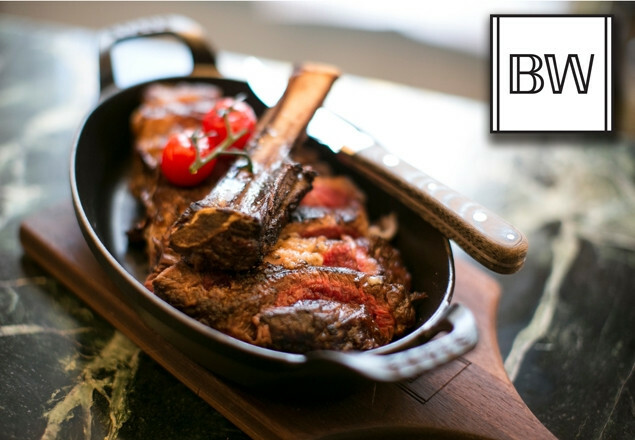 Enjoy a 3 course meal for 2 with a bottle of wine at Brookwood, Baggot Street, Dublin 2. With this exclusive offer from Rewarding Times we are offering a 3 course meal for 2, with a bottle of wine up to the value of €30, with one side and one potato dish to be chosen for the table for just €75. Brookwood is a newly opened steak, seafood & cocktail bar, located at 141 Baggot Street Lower. Open six days a week, Brookwood spans three floors of dining, each floor offering a different experience. Watch the chefs at work on the ground floor, the talented mixology duo of Andreea & Raquel behind the bar on the first floor, and experience our Club Room on our top floor. The Club Room caters for groups of between 6 and 14 people. The room itself is like no other in Dublin. Offering a Bang & Olufsen TV and sound system, fire-place and a cigar & whiskey bar, it can be used for any occasion from business presentations, to corporate entertainment, sports events or even just a private gathering of friends or family. Vouchers are valid from Tuesday September 16th to Thursday 11th of December 2014. Max of two vouchers per table. The voucher does not cover the cost of teas, coffees, extra sides dishes, additional bottle of wine or cocktails.